With the celebration of Mother’s Day my thoughts naturally turned to the love I have for my own mom. I not only think of her unconditional love for me and how she has always been my biggest cheerleader, but I also see her as an incredibly kind woman, who is growing in grace and reflecting Christ to those around her. I am truly grateful for the blessing of being her daughter. I have also been thinking a lot this week about being a mother and how my own children have been a gift to me. God has used each one to challenge me and bless me in different ways. Much of my own growth in grace has been accomplished in the soil of motherhood. Both my son and my daughter are complete joys, but when I saw another blogger say this week that having a daughter is everything she’d hoped it would be and more, I teared up in agreement. The bond my daughter and I share is as strong as I prayed it would be – just like the bond I share with my mom and the bond she shared with hers. Perhaps it will be our heritage to pass to future mothers and daughters to come. Not long ago my daughter and I made strawberry freezer jam. I have sweet memories of making this jam with my grandma, but had not had it in over a decade. I won’t make that mistake again. It makes a big batch, so you’ll have plenty to share. Or you can easily cut the recipe in half. Enjoy! Pit, cut and crush strawberries. Drain some of the excess juice. Place in a large bowl. Add 8 cups sugar, combine and let stand for 10 minutes. In pan, add 1 1/2 cups water and 4 packets of Certo. Boil hard for 1 minute stirring constantly. Add mixture to fruit, stir 3 minutes. Thaw jars as needed in the refrigerator. 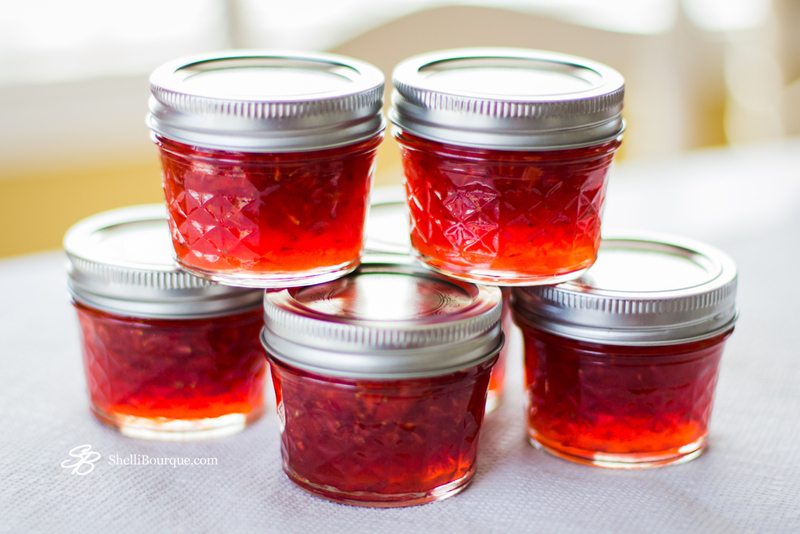 Use thawed jam within 4 to 5 weeks.